New England first signed Farris to the practice squad on October 5 of last year. He was signed as a UDFA by the Lions after starting at right tackle for Ohio State during their 2015 championship run. Farris, 24, will be fighting an uphill battle for a roster spot at this stage in the game. Depending on his injury (the team didn't disclose specifics), his chances of even landing on a practice squad could be slim to none as well. 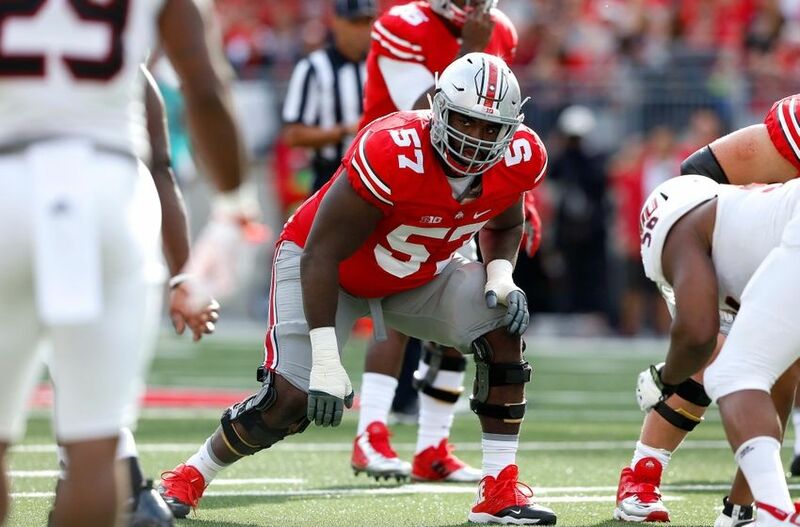 At least he has some potential versatility--though he switched to the offensive side of the ball after his second year, he began his career at Ohio State along the D-line. Reiss reported that Farris was taking reps on the second team behind Shaq Mason and Joe Thuney. With him gone, second-year men Jamil Douglas and James Ferentz will fill the backup slots, with former sixth-rounder Ted Karras possibly filling in as well.